A well-known preacher was asked one time what was the greatest biblical statement that he had ever heard. He thought for a minute and then said, “Jesus loves me this I know, for the Bible tells me so.” I think we can all agree that God loves us and that Christ loved us so much that he took our place on the cross and died for us. God loves us just like a father and mother love their children. God loves us to the greatest extent possible. The Old Testament prophet Isaiah compared the love that God has for his people to the love of a mother for her child: “Can a woman forget her nursing child, And not have compassion on the son of her womb? Surely they may forget, Yet I will not forget you” (Isaiah 49:15 NKJV). Most mothers would never forget the child they brought into this world. Sometimes a mother will forget and maybe even abandon her child, but God will never forget us, because he loves us and has our interest at heart. 13 No one has ascended to heaven but He who came down from heaven, that is, the Son of Man who is in heaven. [a] 14 And as Moses lifted up the serpent in the wilderness, even so must the Son of Man be lifted up, 15 that whoever believes in Him should not perish but[b] have eternal life. 16 For God so loved the world that He gave His only begotten Son, that whoever believes in Him should not perish but have everlasting life. 17 For God did not send His Son into the world to condemn the world, but that the world through Him might be saved. The first point is that the conjunction “for” in John 3:16 points back to the previous statement in John 3: 13-15. The preposition “for” also assigns the reason for what has been previously stated. Jesus had just said that the Son of Man would be lifted up in a way comparable to Moses lifting up the serpent in the wilderness. This would be for the salvation of lost humanity. The Golden text then assigns the reason why Christ would be lifted up – it would be because of God’s great love for all of us. Having noticed the incident when Moses lifted up the snake, we now inquire as to what Jesus meant when he said, “As Moses lifted up the serpent in the wilderness, even so must the Son of Man be lifted up….” What is Christ talking about? He is talking about Christ being raised up on the cross! Jesus was lifted up on the cross and we must look to him and trust him and obey him so we will be saved from our sin. This statement explicitly says that Jesus spoke of the kind of death he would die. Jesus Christ was “lifted up” on the cross, he was “lifted up” from the grave, and finally, he was “lifted up” into heaven where he is now seated at the right hand of God. He has been crowned King of Kings, and Lord of Lords, and he reigns over his kingdom and will reign until he comes again. Let us look back at our text yet again: “For God so loved the world that He gave His only begotten Son, that whoever believes in Him should not perish but have everlasting life” (John 3:16). The second topic suggested by this statement is the love of God. God is a loving God, he is a just God, and he is a merciful God. But his greatest attribute is his love for his people. He is a loving God because he is a giving God. He gave his only begotten son. This text also affirms the existence of God. Do you believe that God is? Theism is the belief that God exists. Atheism is the teaching that God does not exist. And agnosticism is the neutral idea that one cannot know whether God does or does not exist. I know for certain that God exists because of the overwhelming amount of evidence that argues for the God revealed in the Bible. That is a good explanation to a child who would ask you what God is like. What is God like? He is a God of love. To the Corinthians Paul spoke of God as “the God of love and peace” (2 Corinthians 13:11). The term “love” translates a word that means to have good will toward a person because you have their interest at heart. In this sense we can even obey the command to love our enemies—because we have their welfare at heart. Jesus said, “For God so loved the world…” (John 3:16). The “world” translates a word from which we have the word “cosmonauts.” Usually the “cosmos” refers to “the orderly universe.” But here the term “world” stands for the people on the earth. This is a figure of speech where the container stands for the contents. God loved the world (container), which means he loved the people (contents) on the earth. Then the mother responded, “Well, that depends. When one child is sick, I love that one the most. When one of them is hurt, I love that one the most. When one of them is alone, I love that one the most. And when one my children has been really bad, then I love that one the most.” That is a good illustration of how God loves each one of us. He loves us like a father and mother would love their children, except his love is perfect and ours is not. I read the story of a father and mother who had four sons. There was a severe famine in the land where they lived. They were about starved to death. They pondered whether they should sell one of their sons into slavery in order to buy enough food for the rest of the family to stay alive. Which son shall we part with? They considered their oldest son, but the father and mother said they would rather die themselves as to part with their first born son. What about the second born son? He was the “spitting image” of his father and he said that he would never part with him, because he was just like him. The third son was mentioned that he looked like and had some ways that were just like his mother. She could not bear to let him go. And finally they wondered if they could let the youngest go into slavery and both the father and mother said that would never happen because he was there “Benjamin”–the son born in their old age. They were so fond of him that they concluded that it would be better for all of them to die together than to give up any one of their sons. Though stretched from sky the sky! The Golden Text reveals how much God loved us, because he did give up his only begotten and unique son. 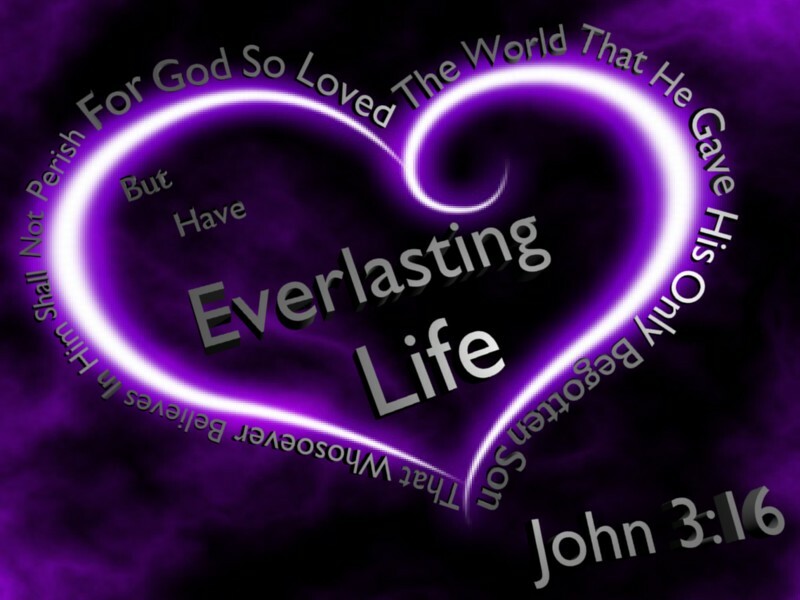 “For God so loved the world, that he gave his only begotten Son, that whosoever believeth in him should not perish, but have everlasting life” (John 3:16 KJV). Jesus Christ, the gift of God’s love is unique. He is only one of a kind. He is the best heaven had to offer for our salvation. The Hallmark greeting card company has for their motto: “when you care to send the very best…” This has been a very good sales gimmick, for everyone wants to send the very best in their greeting cards. When God cared for us and loved us so much that he wanted to send the very best he sent Jesus Christ–the best, the most lavish gift heaven could send down to the earth. But God demonstrates His own love toward us, in that while we were still sinners, Christ died for us. 9 Much more then, having now been justified by His blood, we shall be saved from wrath through Him. What was there about this “world” that would cause God to send his only begotten son down here to the earth? It was like a desert, no flowers were blooming and everything was wretched, then God looked down in mercy and said, I love the people so much; I am going to send my one and only unique son as a sacrifice for their sins. Isaac, the son of promise born to Abraham and Sarah when they were nearly 100 years old, yet when Isaac was a teenager God commanded Abraham to take Isaac and offer him up for a sacrifice. Can you imagine a father being required to do such a thing? But Abraham’s faith was so strong that he saw in a figure God raising him up from the dead (Hebrews 11:17-19). When he was ready to plunge the knife into his heart, God stayed his hand and provided a ram as a substitute. This is typical of what God did for us. Christ was substituted for us. He took our place on the cross. Jesus Christ is therefore God’s one and only son, His unique son, sent as the substitute sacrifice, the atoning sacrifice for the sins of the whole world. Jesus Christ, God’s unique son also loved us so much that he offered himself up that by his sacrifice we might be made alive: “But God, who is rich in mercy, because of His great love with which He loved us, 5 even when we were dead in trespasses, made us alive together with Christ (by grace you have been saved), 6 and raised us up together, and made us sit together in the heavenly places in Christ Jesus” (Ephesians 2:4-6). These verses illustrate how much God loved each one of us by sending Jesus to die in our place. The following story also illustrates what somebody will do when they love to the point that they sacrifice themselves. In January 1978, Florida newspapers cared the story of James Michael Harper of Tampa. Michael was playing with his puppy on a train trestle over the Hillsboro River. The puppy got loose and Michael saw a train coming. He was determined to save his dog, and he did, but the train ran over Michael and he lost both his legs. How tragic that a boy should lose both legs to save a mere animal. But the difference between man and animal is no greater than that between God and man — yet Jesus gave his life for us and that’s how much God loved us. What did Jesus mean when he said, “that whosoever believes in him might not perish, but have everlasting life?” (John 3:16). The common answer is that faith alone is the only condition of salvation. This is false and a misunderstanding of the doctrine of salvation by faith. I read a statement one time that claimed that salvation is “by grace alone, through faith alone, to God alone is the glory.” If salvation is by grace alone then that would exclude faith. And if salvation is by faith alone that would in exclude grace. James says that salvation is “not by faith alone” (James 2:24). Salvation is not by any one thing alone. We are saved by the love of God, but not by the love of God alone. We are saved by the grace of God, but not by the grace of God alone. We are saved by faith, but not by faith alone. We are saved by repentance, but not by repentance alone. We are saved by confession of our faith, but not by a confession alone (Romans 10:9-10). And my friends, the word of God declares we are saved by baptism, but not by baptism alone. Peter affirmed: “There is also an antitype which now saves us—baptism (not the removal of the filth of the flesh, but the answer of a good conscience toward God), through the resurrection of Jesus Christ” (1 Peter 3:21). We are saved by all of these conditions working together. They are not human works, but the works of faith, and therefore they are God’s works and we are his workmanship created unto good works (Ephesians 2:8-10). Shelby G Floyd delivered this sermon March 31, 2002, and January 31, 2016, at the Heartland Church of Christ, 1693 W. Main Street, Greenwood, IN, 46142.